As the shock waves from the affirmative Brexit vote start to dissipate, there has been an increasing chatter concerning the fate of London as not only Europe's financial services hub but also a hub for startups as well. While Dublin, Berlin and Madrid are all strong contenders in the race for startup ecosystem supremacy, London by far is one of the strongest, particularly in the fin-tech sector. Billions of capital continues to be pumped into the FinTech phenomenon with its soaring popularity an attractive proposition to investors. Companies continue to develop the industry through innovative ideas providing a wide variety of cost-effective services to customers and increasing efficiency and flexibility within the financial business. This is evident from the Innovate Finance 2020 Summit 2016 held in April where over 1400 people attended, including many power global leaders, technological experts and data analysts celebrating this new era of finance. German philosopher Friedrich Nietsche once stated that “Necessity is not an established fact, but an interpretation”. While we understand the need for empowerment through connectivity across the world, we interpret the application for Financial Technology as one beyond any brick and mortar institution and any one country, but malleable to reinvigorate the banking sector and guide it through. We look forward to playing our role in captaining this industry as it integrates further in to the traditional financial sector, amidst calm or choppy weather alike. FinTech visionaries are trying to remove the middle-man or intermediary and question conventional corporations who are less comfortable with software. 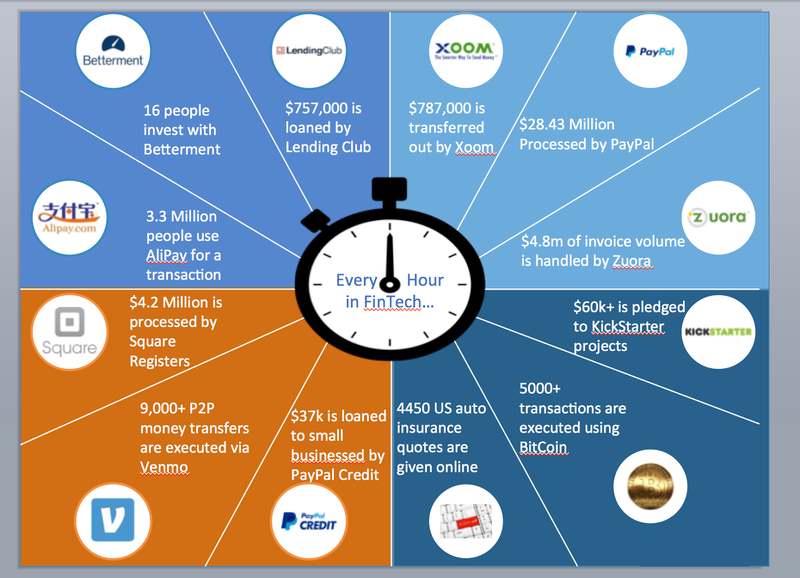 FinTech start-ups are demonstrating that momentum is firmly with them; the speed with which they can develop in comparison to the world’s leading organisations is remarkable. The prolonged success of companies is testimony to this ascendancy. The methodology: "In other words, it's all about making processes simpler and life easier." When Jai throws a punch(Agility). I am always going for the bull's Eye(Accuracy). Away from its prosperity and magnetism, just how sustainable is FinTech? There is a fear that Fin-tech may interfere too heavily with traditional business models, even though it provides a flexible and alternative crossing point for customers and businesses. For years one has to mold and tend to those boulder shoulders. To design, strengthen, size and shape them just like a sledge hammer. Financial services will always be in popular demand providing the worldwide economy is flourishing. Sending money, storing it, spending it, securing it - the functions are endless. Despite all that they have to offer, Fin-tech businesses still trail banks in terms of their market dominance even though the disparity is becoming less and less each year. For fin-tech companies, a relationship with a major bank is often a game-changer — for both sides of the equation. Becoming Agile(or hybrid) takes many years and many seasons of rigorous and relentless training, trying, testing, failing, experimenting and succeeding. "Boxing agility drills are designed to help improve your speed and quickness while in the ring. Although many boxers develop their speed and agility to improve their punch accuracy and effectiveness, many boxing agility drills will also help you improve your defense skills." Taking into consideration the speed with which the technological revolution and digital interference overwhelmed traditional industries, it seems outlandish for professional services giant Deloitte to recommend that it is unlikely that Fin-tech companies will have more than 6% of the market by 2025. Save for Santander, most banks are unhurried in their approach to utilizing financial technology. Because of this they are being caught up by Fin Tech companies who must now be considered as serious rivals. Soon enough, the wealth management industry will have to contend with the widespread adoption of block-chain and artificial intelligence. We hope to be in a position to help the industry grapple with those future challenges -- which is why we are taking a full-time research role in studying global financial technology. I've been focusing my thoughts, research and studies about our industry as a whole, To understand what's changing at the core of the economy, where one thing disconnected from another can impact in a Butterfly effect how people buy investments and move money. Enterprise is a whole different bag of hammers, with much greater levels of complexity and product demands than what comes in dealing with consumers. The question whether some of these guys are up to that -- from my experience, firms that are consumer and try to pivot into the enterprise space, it usually doesn’t work out well. Banks continue to use their supremacy to command high remittance fees and long-winded transaction times, but ultimately they will need to look into forming partnerships allowing them to apply FinTech services into their systems. The technological landscape continues to progress as does the attitude towards money and the handling of it. Is it realistic to think that in the future our planet will be restricted to mobile and cashless payments as our inclination moves away from using cash frequently, if at all? For a long period, the intent of Fin-tech has been to deliver speedy transactions at a reduced cost for the back and middle office of financial institutions, while the office facade develops relationships with clients and remain very much person-driven. Fin-tech businesses are moving away from offering a wealth of services and instead are providing precise dispensation specific to the customer. I see a change in that: from offering many to many to offering one service to a very specific niche and really focusing on providing superior product experience in that niche. What FinTech has captured is a growing trend and grasped the current habitual climate around how we access and use money. It is going against the conformist who follows regulations which relies on banks developing their services and providing customers with an option not in place during its fabrication. In today’s society, it is customers who require flexible models to correspond with the fast pace of life – suitably tailored for the constantly changing needs of individuals and organisations. Digital platforms continue to advance with it now possible to take a loan from Paypal or get inventory financing from Amazon – further substantiation that FinTech is identifying ways to boost core financial communications and enhance the customer experience. FinTech is going to continue shaping the landscape of the financial sector: My vision is that there’s going to be a lot of value for the consumer out of finance and FinTech going forward because of this change. Long-term it is difficult to gauge how much potential there is for further growth, but there is no doubt FinTech will continue to make a significant impact on the industry – watch this space. NYC: New York has unseated Boston as the #2 overall venture capital cluster in the U.S., with a heavy fintech spin thanks to the robust financial services industry coupled to a vibrant entrepreneurial ecosystem. However, the local regulatory environment hobbles the Big Apple’s efforts to claim the top fintech spot (see: BitLicense). Hong Kong: Long a center of entrepreneurship and financial innovation, Hong Kong has maintained position in the shift to the new generation of fintech companies. Ernst & Young places Hong Kong at 29% fintech adoption, the most anywhere in the world1. Its more liberal set of corporate regulations make it the natural interface between mainland China and the rest of the world – and China barely missed beating the U.S. for total venture capital activity in 2Q 2016 according to Preqin2. London: The Square Mile may be down, but she isn’t out. London remains one of the largest innovation clusters in the world, retaining a sharp focus on fintech innovation with progressive government (in terms of fintech regulation and policy initiatives), a world-class set of universities, and a dynamic workforce with some of the best drawn from across Europe and around the world. Goldman Sachs and Morgan Stanley announced intentions to remain engaged, but JP Morgan threatened moving “a few thousand” jobs3.If growth-oriented leaders can stave off isolationists, London will continue to reign. Shanghai: It should come as no surprise that the top of our “contender“ list is the financial capital of mainland China. Fiercely competitive, housing one of two independent exchanges, Shanghai is core to China’s drive to make the RMB a reserve currency. Zurich, Geneva & Zug: 12% of Switzerland’s economy is financial services, and the Swiss people and government have embraced the fintech revolution. Swiss venture capital activity is consistently top-ranked, if not as energetic as London or New York and hindered by restrictive immigration policies. Although perhaps unfair to aggregate three municipalities into a single “Swiss cluster”, for our purposes they are equivalent to others in their peer group, and reasonably well coordinated. ​Frankfurt: Germany is Continental Europe’s startup leader and Frankfurt is where the action’s at for German financial services. The sociopolitical environment limits labor market liquidity, and limited risk tolerance is a handicap, but flawless execution can catapult Frankfurt to the fore. Shenzhen: Also strong on the list is Shenzhen, home to a new generation of Chinese entrepreneurs with a dynamic, vibrant ecosystem in the making, as well as the other independent exchange in China (besides Shanghai). If Shenzhen and Hong Kong were able to more closely coordinate activities, they could create a dominant “supercluster”. Dubai: Dubai’s economy is built on diversifying beyond oil to a broader set of industries, and its position as a congenial environment for foreigners coupled to enlightened government policy makes for a legitimate position as a contender. Weather, economic volatility and other agitations surrounding the region are downsides. Mumbai: Long a workhorse of the Indian entrepreneurial miracle, Mumbai continues to push the boundaries. The National Biometrics project is now spawning startups seeking to provide financial access and inclusion, leveraging cornerstone identity. Luxembourg: €3.5 trillion of assets are under management in Luxembourg4, and financial services comprise 27% of the economy5. The government, academia and industry have banded together to pioneer the next wave of financial innovation, if they can move beyond the country’s traditionally conservative approach to business (disclosure: MIT has an agreement to advise on this effort). Several jurisdictions are working to make themselves attractive to fintech entrepreneurs, including the Caymans, Barbados, Austin TX, Sao Paolo, Paris, Dublin, Moscow, Johannesburg, and Lagos in Nigeria. Will one or more of these dark horses be able to carve out market share? The next two to four years will see the outcome of the race unfold. Where is the smart money going? One thing’s for sure: Brexit uncertainty in London means greater opportunity for other regions around the world. Please join me in taking these critical actions to strengthen our campaign and influence key decision-makers. "Stop the Hikes and Cuts" bus! Join UMass Boston students, faculty, staff, alumni, and community allies on Wednesday, June 15 as we confront UMass system President Marty Meehan, the UMass Boston Board of Trustees, and the UMB administration to say a big and public "No!" to tuition hikes, increased class sizes, and cuts to faculty, staff, and essential services. Note: The "Stop the Hikes and Cuts" bus is free and all supporters are welcome! Those who want to drive separately can meet us there! Please send an email to FSU@umb.edu if you are planning to come onboard the bus! For updates and more info, visit the event Facebook page: The Stop the Hikes and Cuts Bus to the UMass Trustees meeting. Please take a moment to email your legislators to fully fund the UMass budget! Use this link to search for your legislator: http://wheredoivotema.com/bal/MyElectionInfo.aspx. For background information on the need for full state funding of public higher education, visit Higher Learning, Lower Funding: The Decline in Support for Higher Education in Massachusetts. Please support the Senate allocation for the UMass budget. Adequate funding for public higher education in Massachusetts is essential to ensuring that the Commonwealth has the skilled workforce it needs, that its citizens can participate in the knowledge-based economy and for the growth of the Commonwealth. Four hundred faculty at UMass Boston were recently given notices of non-reappointment. This hurts our students by limiting the choice of classes, increasing class size, and delaying graduation. As a UMass [student, alum, staff member, faculty member, ally] I have seen the decline in support from the state lead to higher tuition and fees and now fewer faculty. We must provide an education of the highest possible quality to our students, and that requires adequate funding to maintain the faculty and staffing levels we currently have at UMass without shifting even more of our burden to students and their families through tuition increases. More than two dozen Umass Boston students and faculty protested potential tuition hikes and budget cuts, calling it a “crime against education” while the UMass Board of Trustees met feet away inside the University of Massachusetts Club this morning . Holding signs and chanting “They say cuts, we say fight back,” students and members of the Faculty Staff Union argued proposed cuts would detract from the educational experience on campus, including a close student to teacher relationship. “I really love my school. It’s unique. It provides accessible high quality education to urban youth who otherwise wouldn’t be able to afford it,” said Phil O’Connor, 21 of Boston, who graduated this spring. In May, UMB administration announced their proposed plans to increase class sizes from a 14:1 student to teacher ratio to 17:1 and slice 400 non-tenure teacher jobs to close a projected budget gap of $22.3 million. UMB Chancellor J. Keith Motley, however, said he has not approved any cuts on campus and that most staff who received pink slips would be called back for the fall. Inside the University of Massachusetts Club on Beacon Street today, the Umass Board of Trustee’s Committee on Administration and Finance postponed a vote on tuition rates, opting to wait until the state finalizes its budget. The UMass system won’t know its final appropriation until July. “I think it is important we have a better sense of what we have,” UMass President Marty Meehan said. The specter of looming tuition increases comes after UMass trustees approved a 5 percent hike in June 2015 after two years of tuition and fee freezes. Tuition for the 2015-2016 school year ranged from $12,588 at UMass Dartmouth to $14,171 at UMass Amherst. Faculty, alumni and students from UMass Boston and Lowell marched outside the downtown Boston building where university officials met, protesting against potential tuition hikes and faculty reductions. Joe Ramsey, a lecturer in English and American studies at UMass Boston, said he was concerned higher costs would force financially struggling students to take on more debt or pick up extra work hours outside of class, taking away attention from their studies. UMass trustees said they wanted to wait to see how much money the state appropriates before making any decisions on raising tuition and fees. UMass administrators expect the state’s budget to be finalized in the coming weeks. After that, a special Board of Trustees meeting will be called to vote on the price hikes. “We’re going to advocate for a higher level of funding from the state,” Connolly said of the delay. In May, the Massachusetts Senate unveiled its version of the budget, which included a 1.5 percent increase in funding for the UMass system, slightly higher than the recommendations of 1 percent from the House and governor. The three budget proposals — recommending appropriations between $500 million and $520 million — will provide a modest increase in appropriation to the university system, especially compared to increases in recent years. The protesters outside the meeting and the administrators inside agreed on at least one matter: The state was not spending nearly enough money on UMass. Trustee David Fubini said the five-college system and the board should be looking for ways to do more with less, rather than thinking about cuts. He suggested looking to other university systems, in California, New Jersey, and Texas, that have faced declining state support. Hess, of UMass Boston, said that at the end of the day, he wants to see administrators act in students’ best interest. As many of you have heard, BLMLA/DENA organizer Jasmine [Abdullah] Richards has been charged with felony lynching. As students of Cal State LA and advocates of a social justice politic, please consider signing the petition to Free Jasmine Richards from political imprisonment. If you are unfamiliar with what is happening to Jasmine, please read on & watch the videos below. Black Lives Matter Organizer Jasmine [Abdullah] Richards Convicted of "Attempted Lynching"
"The charge stems from an August incident where Richards and other Pasadena, California, activists tried to remove a Black woman from police custody. Black Lives Matter Pasadena founder Jasmine Richards was found guilty of a felony on Wednesday (June 1). As Mic reports that Richards was charged under a California law that—until last summer when legislators amended it to omit the racially-charged word—defined lynching as "the taking by means of a riot of any person from the lawful custody of any peace officer." The charges stem from an August 2015 incident when Richards led a march highlighting Pasadena police officers' 2012 killing of Kendrec McDade. When Richards and other activists saw police arresting a Black woman at a nearby restaurant, they surrounded her and tried to remove her from their custody. Activist and New York Daily News journalist Shaun King shared a video of that incident in his own article about Richards' charges. This isn't the first time the law has been used to prosecute an activist. In January, Maile Hampton was charged under the same statute for attempting to free a fellow protestor from police custody. The Sacramento Bee reports that prosecutors dropped the charge in April. "A law that was enacted for the purposes of defending Black people against hangings and torture is now being used against Black people who are fighting for the lives of Black people who are killed by the police," Richards' attorney, Nana Gyamfi, told Mic. Gyamfi also said that no Black people served on the jury that convicted Richards." "Political prosecution and the attempted lynching of Jasmine Richards." -- Nana Gyamfi, attorney of Jasmine Richards. "Jasmine is a political prisoner and represents probably the hugest threat to the state in that folks at the bottom can recognise their own oppression and rise up against it." Watch interview on "Uprising with Sonali" with Patrice Cullors and Jasmine Abdullah Richards about forming Black Lives Matter. Please consider signing and forwarding; please spread the word. Judge Elaine Lu presided over the case and is set to sentence Jasmine on Tuesday, June 7th. The charge could bring as much as 4 years in state prison. Will you please quickly sign the petition before Tuesday? In Solidarity with Feminist Majority Leadership Alliance at Cal State L.A.
At least 23,000 Americans die every year from antibiotic-resistant bacteria. The Centers for Disease Control and Prevention warns that the widespread overuse of antibiotics on factory farms is making them less effective. Medical experts, including from the World Health Organization, now warn that if we don’t stop the overuse of antibiotics they could stop working — with potentially grave consequences for public health. Antibiotics are meant to be given in precise doses to treat specific types of infections. When they are used in mass quantities by farming operations it increases the likelihood that all kinds of bacteria, including the ones that make people sick, will develop resistance, and our life saving medicines won’t work. We must urge President Obama’s task force to push for more stringent regulations about antibiotic use on factory farms in their five-year action plan. Join our effort to convince the Obama Administration to stop the overuse of antibiotics on healthy farm animals! If you’re like most Americans, you have probably relied on antibiotics to treat an illness. Maybe it was a simple ear infection, or strep throat. Or maybe you, or someone in your family, had to rely on antibiotics to treat a potentially life-threatening illness like pneumonia or a post-surgery infection. We assume that when we get an infectious illness the antibiotics our doctors prescribe will help us get better. But medical experts, including from the World Health Organization, now warn that if we don’t stop the overuse of antibiotics they could stop working — with potentially grave consequences for public health. Despite the threat to public health, many large factory farms are giving huge quantities of antibiotics to livestock. Why? It’s not just about treating animals that are sick. It’s also about preventing disease often caused by crowded and unsanitary conditions. Farming operations have also discovered that by giving a regular dose of antibiotics to their animals, it makes them grow bigger, faster. And now more than 70 percent of all antibiotics sold in the United States are sold for use on livestock. In September, President Obama issued an executive order to address the growing threat of antibiotic resistance. However, it didn’t go far enough to recommend tougher measures against antibiotic overuse on factory farms, and instead focused on creating incentives for development of new drugs, tighter regulation of existing ones, and improvements in tracking and monitoring antibiotic-resistant bacteria. This is a good thing, but we need to do more. We have between now and when his task force delivers a five-year action plan, to push for more stringent regulations about antibiotic use on factory farms. With thousands of Americans dying, and millions more getting sick from antibiotic resistant infections every year, ending the overuse of antibiotics on factory farms is a commonsense step. Yet big agribusinesses, and the pharmaceutical companies that supply antibiotics to farming operations, are lobbying hard to keep the current, weak voluntary rules. Please help end the harmful overuse antibiotics. I am concerned that the overuse of antibiotics on factory farms is putting public health at risk. The Centers for Disease Control and Prevention warns that, already, more than 2 million people per year fall ill from drug-resistant infections. Please stand up for public health, and direct the FDA to stop the overuse of antibiotics on factory farms. PSA Content: "Antibiotics are a miracle of modern medicine, and are designed to be given in precise doses, to treat specific illnesses and infections. But once big farming operations discovered that a regular dose of antibiotics promoted rapid growth and prevented disease in their livestock, they started to routinely put lifesaving medicines into the daily feed of healthy animals. The result? Bacteria that come into contact with those animals grow resistant to antibiotics. We can be exposed to these bacteria through our food, water and the air we breathe, putting us at risk of getting an infection that antibiotics may no longer treat. Already 2 million people fall ill, and 23,000 people die each year from drug-resistant infections. Please tell the Obama administration to protect public health, by directing the FDA to stop the overuse of antibiotics on factory farms." Whistle-Blower Edward Snowden: A Man with a Few New Friends on The Hill ? In this case the UN Convention against ‘Torture and Other Cruel, Inhuman or Degrading Treatment or Punishment’, however, does apply, so as an asylum seeker he can make claims to the government under it. Snowden’s whistle-blowing gives us the possibility to roll back a key part of what has amounted to an ‘executive coup’ against the U.S. Constitution. Since 9/11, there has been, at first secretly but increasingly openly, a revocation of the Bill of Rights for which this country fought over 200 years ago. “I’m not a lawyer, but based on what I know so far, I don’t think he should be prosecuted,” Kentucky Republican Congressman Thomas Massie, a self-styled libertarian, told CQ Roll Call on Monday. “If someone reports illegal activity as a whistle-blower, they shouldn’t be prosecuted. With the maturation of Human rights law and current policies of relocating migration management warrant a legal restatement of the concept of extraterritorial asylum. The various manifestations of pre-border migration management question the extent to which existing discourse on diplomatic asylum can be extrapolated to a more general theory on the legality of extra-territorial asylum. ‘The present-day importance of Human rights, including the acceptance that Human rights obligations may bind a state’; this thus requires a determination of whether there can be circumstances under which the petitioned state is ‘under a Human rights obligation’, for an individual, to grant protection and how such an obligation can be accommodated with possible concurrent and conflicting obligations the petitioned state may have with the territorial state. In extraterritorial situations, the scope of these protection duties is informed not only by the duty of non-refoulement, but also involves the preliminary issue of whether and under what circumstances the asylum-seeker may or may not be granted the right, as in other cases or as in this case, forced to physically bring himself within the territorial jurisdiction of the desired state, for example by allowing him to present himself at the border of that state. He has a universally applicable right to seek asylum, that is to be understood as the right to relieve himself from the authority of one country in order to be able to request territorial asylum with the authorities of another. 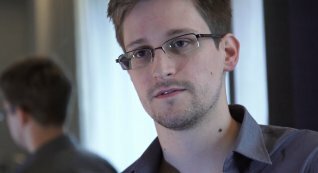 Russia is willing to consider granting political asylum for NSA whistleblower Edward Snowden, who blew the lid on the US PRISM program, Russian media reported. “If we receive such a request, we will consider it,” Kommersant daily quoted President Vladimir Putin's press secretary Dmitry Peskov as saying. An ex-CIA employee has said he acted to "protect basic liberties for people around the world" in leaking details of US phone and internet surveillance. "Prism Leaker Is A Hero". The Harvard Business Review is running a very interesting and insightful story on how money in politics is having a deleterious and increasingly eroding effect on U.S. innovation and the economic environment that fosters the same.
" If there's been one topic that has entirely dominated the post-election landscape, it's the fiscal cliff. Will taxes be raised? Which programs will be cut? Who will blink first in negotiations? For all the talk of the fiscal cliff, however, I believe the US is facing a much more serious problem, one that has simply not been talked about at all: corruption. But this isn't the overt, "bartering of government favors in return for private kickbacks" corruption. Instead, this type of corruption has actually been legalized. And it is strangling both US competitiveness, and the ability for US firms to innovate. The corruption to which I am referring is the phenomenon of money in politics. ..Somehow, it seems that every time that [Mickey Mouse] is about to enter the public domain, Congress has passed a bill to extend the length of copyright. Congress has paid no heed to research or calls for reform; the only thing that matters to determining the appropriate length of copyright is how old Mickey is. Rather than create an incentive to innovate and develop new characters, the present system has created the perverse situation where it makes more sense for Big Content to make campaign contributions to extend protection for their old work.if you were in any doubt how deep inside the political system the system of contributions have allowed incumbents to insert their hands, take a look at what happened when the Republican Study Committee released a paper pointing out some of the problems with current copyright regime. The debate was stifled within 24 hours. And just for good measure, Rep Marsha Blackburn, whose district abuts Nashville and who received more money from the music industry than any other Republican congressional candidate, apparently had the author of the study, Derek Khanna, fired. Sure, debate around policy is important, but it's clearly not as important as raising campaign funds. ..Ars Technica reports that Derek Khanna is getting axed over his memo detailing the conflict between laissez-faire-oriented free market ideals and the regulatory monopoly that is copyright. 'The Republican Study Committee, a caucus of Republicans in the House of Representatives, has told staffer Derek Khanna that he will be out of a job when Congress re-convenes in January. The incoming chairman of the RSC, Steve Scalise (R-LA) was approached by several Republican members of Congress who were upset about a memo Khanna wrote advocating reform of copyright law. They asked that Khanna not be retained, and Scalise agreed to their request. " The multifaceted Intent and the efforts to control and curb corruption increases levels of trust in the ability of institutions to effectively enforce laws/rules of trade in a fair manner. With varied periods of time pervasive bureaucracy and increasing red tape also tends to create a stagnant climate where corruption can and will flourish, with officials often demanding bribes for the myriad permits needed to carry on business among several other things. Entities and groups with a political and financial upper hand often tend to dominate and predate in a market such as this. High handed corruption as a result continues to remain a major deterrent to distributed and diverse economic activity. Often a better control of corruption has been historically associated with rising levels of innovation and entrepreneurship. Absence of such a critical and defining trust, would invariably restrict the scale and scope of trade and inversely effect productivity and investment in innovation and entrepreneurship. Yes, the puzzling relationship between entrepreneurship, innovation, and corruption suggests corruption is inversely correlated to economic growth, entrepreneurship and innovation. That is, beyond all debates and arguments several studies across the globe conclude that as corruption goes up, economic indicators go down. The scope/effects of corruption on business is mediated and outlined by several factors, all of which are related to the ability to reliably enforce rules that promote fair trade and transparency. Entrepreneurs and innovators are motivated by the portion of the value created by the venture that they are able to capture for themselves. As corruption increases, entrepreneurs face the risk of losing some of those profits to opportunists taking advantage of the corruption on the value chain. As a result, some potential entrepreneurs become discouraged and abstain from pursuing new business opportunities. The dampening effect of corruption has often been compared with that of taxes. Under this school of thought, corruption would differ from taxation only in the lack of public revenue generated. No matter the depth or potential of their innovations, all of their efforts to solve challenging industrial/social/economic problems could be stymied and nullified by corruption and unscrupulousness that favor the connections and short-term gain of a few over the long-term benefit of the industries they serve, the economy and the populace. 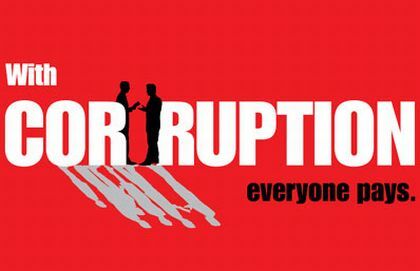 Corruption is one of the most restrictive and intractable issues around the world, It is comparable to a wider and deplorable socio-economic disease that pervades and plagues entire cultures and economies It inhibits the development of a stable and prosperous economy and the flourishing of an active democracy and citizen sector. Demanding transparency and fostering a culture in the public and private sector of accountability and rule of law is perhaps the only real feasible approach to tackling this issue in the United States. 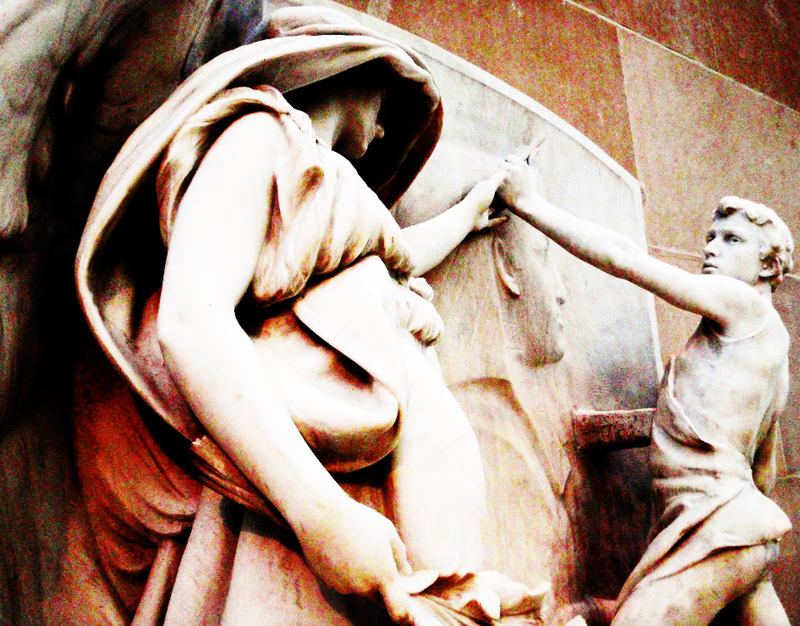 “Evil is not just a theory of paradox, but an actual entity that exists only for itself. From its ether of manifestation that is garlanded in perpetual darkness, it not only influences and seeks the ruination and destruction of everything that resides in our universe, but rushes to embrace its own oblivion as well. To accomplish this, however, it must hide within the shroud of lies and deceit it spins to manipulate the weak-minded as well as those who choose to ally themselves with it for their own personal gain. For evil must rely on the self-serving interests of the arrogant, the lustful, the power-hungry, the hateful, and the greedy to feed and proliferate. This then becomes the condition of evil’s existence: the baneful ideologies of those who wantonly chose to ignore the needs and rights of others, inducing oppression, fear, pain, and even death throughout the cosmos. And by these means, evil seeks to supplant the balance of the universe with its perverse nature. Looking at the Corruption Perceptions Index 2012, it's clear that corruption is a major threat facing humanity. Corruption destroys lives and communities, and undermines countries and institutions. It generates popular anger that threatens to further destabilize societies and exacerbate violent conflicts. The Corruption Perceptions Index scores countries on a scale from 0 (highly corrupt) to 100 (very clean). 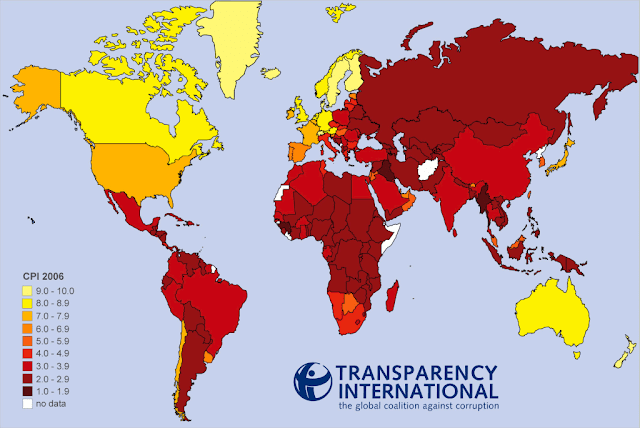 While no country has a perfect score, two-thirds of countries score below 50, indicating a serious corruption problem. Corruption amounts to a dirty tax, and the poor and most vulnerable are its primary victims. So, How do we Counter the Effects of Public Sector Corruption? *Governments need to integrate anti-corruption actions into all aspects of decision-making. *They must prioritize better rules on lobbying and political financing. *They must make public spending and contracting more transparent, and make public bodies more accountable. After a year with a global focus on corruption, we expected more governments to take a tougher stance against the abuse of power. The Corruption Perceptions Index results demonstrate that there are still many societies and governments that need to give a much higher priority to this issue. The Snow Lion is Rising ~ Tibet shall be Free! Human Rights before Profits ! Right Levels of Taxation, An Illusion. Prime-time in No Time Politics ! How Steep is that Fiscal Cliff ? An Inclusive & Free America ? Jai Krishna Ponnappan © 2008 - 2012. Picture Window theme. Powered by Blogger.